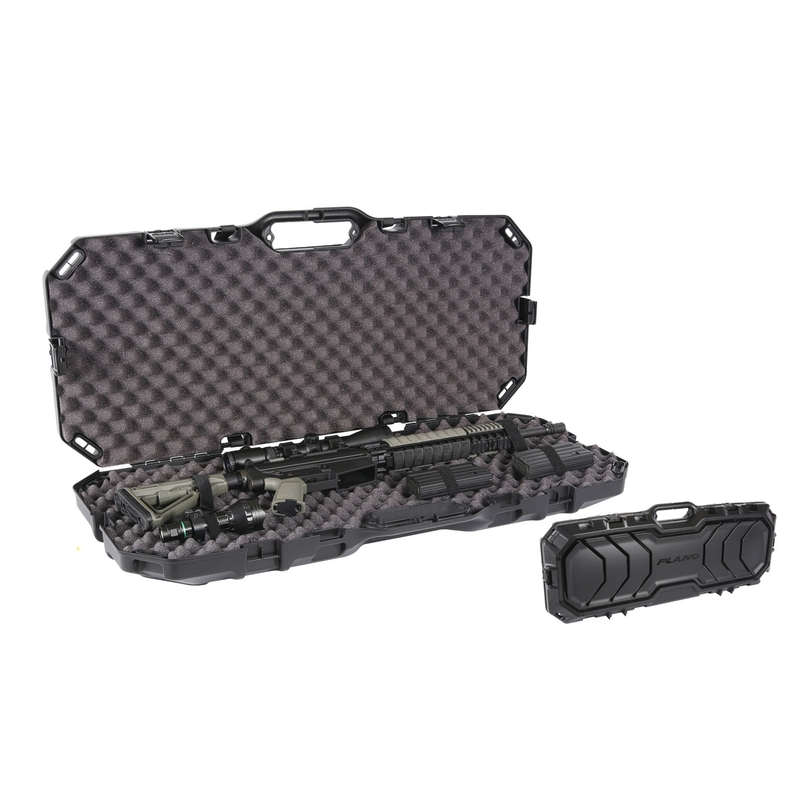 Plano Tactical Gun Case - 42 Inch. Durably designed for improved mobility and access, the all-new Plano Tactical Series is adding a whole new dimension to gun storage amd transport. Equipped with internal lash down mounts for your firearms and accessories, and numerous external strapping points to tie-down during travel. Features also include padlock tabs and moulded heavy-duty handle. 42inch measures internally: 42" x 13" x 3.5"